As you may remember our last update focused as many people do on Goals to kick off 2015. As we go through February lets learn some tips to stay positive and focused on our goals. Thank you for making the time to read this, and I encourage you to look into our mental tools for improving performance for you personally and for the people in your organisation. Damian and the team at MindStore Australia. P.S. Remember you can share these positive updates with colleagues, friends and family who you think would appreciate them. If you started the year with amazing goals and intentions and have recently been challenged to keep going with them, then take a minute to reflect on the power of your Self Talk. In my experience many people feel a dip in there goal enthusiasm around 6 weeks into the New Year, so you are not alone! If we are honest with ourselves, we all have experienced the little voice in our head which talks us easily out of so many opportunities arising from coincidences. Can you imagine how many relationships that never had a chance to start because of this last phrase in our self talk examples. Lets commit to thinking about what we do want instead of what we do not want, focus on success, overcome the fear of failure. To help you do this exercise in a quiet moment at home. Your thoughts and speech reflect your attitude. So work to adjust your thoughts and language to positive only. Exercise: List 7 negative words you use, and then write next to it 7 positive alternative words or phrases you could use. Then next time you are about to use one of the 7 negative words, remember this exercise in your mind and change it to a positive. At first it may seem awkward but with practise you become expert at being positive as you begin to rewire your thinking from default mode to postive. Imagine working your brain muscle and become the more positive energetic person you want to be in business and your personal life. Imagine people commenting on how you are always so positive? How do you do it? 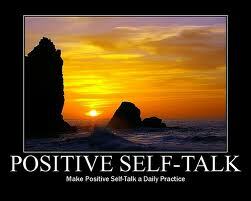 Challenge yourself, to change your Self talk. At MindStore we are passionate about helping everyone to rekindle that way of thinking to improve performance from Ordinary to Extraordinary,so think about contacting us to be involved in your next Learning and Development event. At MindStore we believe that the focus should be on the Individuals, the human beings that bring the uniqueness of their mind to the organisation. That person’s mind when inspired has the ability to innovate and create solutions for all of the organisations present and future challenges. Can you imagine your organisation full of people with the vision, passsion and energy? How do you think that would that transform your organisations performance? 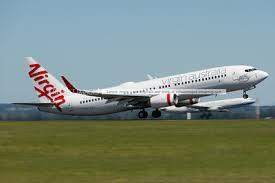 Does your organisation have the vision to invest in training in the area of the business with the greatest capacity for Performance Improvement? PEOPLE. Trust MindStore to Empower your People and Transform your Organisation. Note: HTML is allowed. Your email address will never be published. There’s no such thing as bad weather… just the wrong clothes! Damian McConnell from MindStore delivering a Professional Development session. Sharing techniques for Resilience managing Stress and Creating thinking time daily. MindStore Australia is a specialised consulting company focused on the people side of business.MindStore Australia’s fundamental goal is to help businesses become more successful through inspiring the staff to put their fullest possible energies into the personal success and that of their organisation. 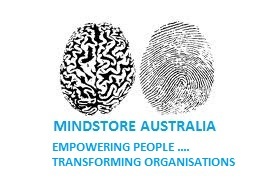 MindStore Australia provides tailored training programmes around Personal Development, Positive Mental Attitude, Whole Brain Thinking, Performance Excellence and accessing creativity and innovative thinking for better problem solving. MindStore provides you and your colleagues, with unique, easy to learn tools and techniques, for delivering extraordinary performance. Copyright © 2019 Mindstore Australia. All rights reserved.